The Garretts are everything the Reeds are not: loud, numerous, messy, affectionate. 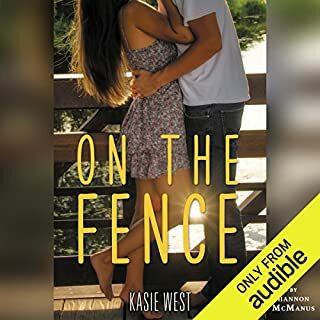 And every day from her balcony perch, 17-year-old Samantha Reed wishes she was one of them...until one summer evening, Jase Garrett climbs her terrace and changes everything. 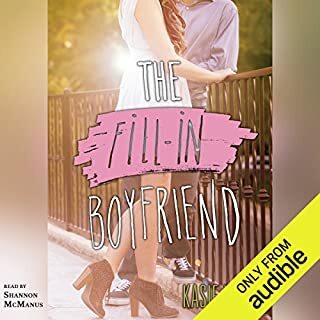 As the two fall fiercely in love, Jase's family makes Samantha one of their own. Then in an instant, the bottom drops out of her world and she is suddenly faced with an impossible decision. Which perfect family will save her? Or is it time she saved herself? Worse, the girl who's been assigned to make him over into a geek is a major geek herself. Vere Roth is a chattering pixie - a blushing tornado and a complete social disaster. 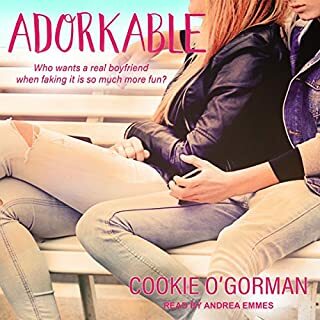 He's never met a girl who's never been kissed, believes in romance, and thinks Hunter's a "nice" guy. Funny thing is...Hunter is nice around Vere because she's his first real friend. He also can't seem to stop sharing his secrets or keep her out of his heart. Knowing he'd never deserve a girl as sweet as Vere, he resigns himself to the friend zone and helps his new bestie with her own makeover. She tortures him daily for guy advice on how to snag her lifelong crush: a guy Hunter thinks is totally wrong for Vere. And sadly he's taken note of Vere's stunning transformation. 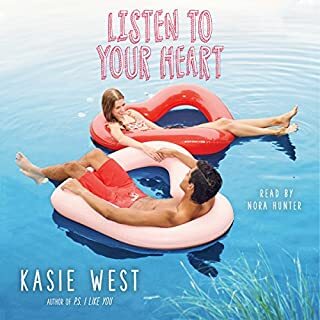 When Vere asks her best friend for some kissing advice, Hunter can't resist. And that's when things get out of control. Anne Eliot is an Amazon top 100 best-selling young adult author. 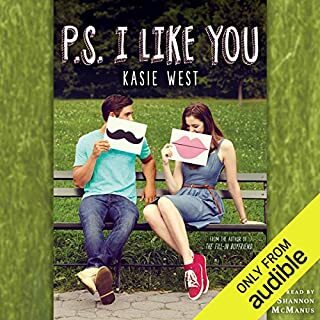 She writes sweet high school romances featuring book boyfriends you can't forget and, of course, those amazing first kisses. I really enjoyed this storyline and plot, but I was thoroughly aggravated by one the narrators. The male narrator for Hunter was good enough, but the female narrator for Vere drove me crazy, because she constantly made Vere sound ditzy and idiotic, which I do not think was part of her “shy around boys” character. Heartwrenching but in a good & Bad way!! I wish there would've been a bit more of an ending with what was going to happen with the band, his mom & a few other things! otherwise I loved it! The Narration was amazing as always!! What made the experience of listening to Unmaking Hunter Kennedy the most enjoyable? I liked how the narrators were able to still be convincing even when reading as teenagers. My favorite scene was when Dustin ((Hunter)) would talk with a lisp. And the conversations him and Ver use to have. Amazing book loved it from start to dlfinsih. Very realistic with a bit of a stretch at times. Loved that issues that teens truly face where touched upon. Good story, but excessive language. I liked the overall story line, but it seemed like they were throwing in so much swearing that it took away from the book and brought it to a more false feeling from the book. I really struggled with finishing the book because of it, it just became annoying. The whistling was also offputting. 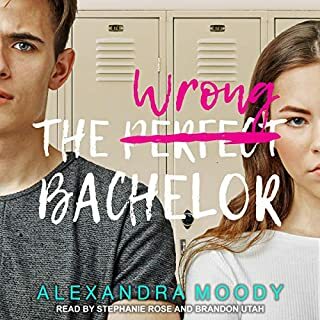 I absolutely loved this book first off the narrators were amazing I love Kelly each did their own parts during the others it was actually the best mashup that I've ever heard and a book. This is an objectively nice young adult story, but the performance is very unconvincing. The story is emotional and the actors in their tone and deliver aren't realistic. The production gets points for having a male narrator for all male voices and vice versa regardless of who's POV we are experiencing. That helps a lot, but there are lot of very real topics in this that don't come off as a person explaining their bad situation. I'd listen again more often if some of the voices and scenes weren't so "cringy." Female reader is incredibly annoying, making it hard to listen to the whole story. Considering this audio book cost twice as much as most, I'm more than disappointed in the purchase. Storyline was ok but I probably wouldn't seek out this author again. The story itself was great. However, it took me a long time to get use to the narrators voices. Every time the guy laughed it totally pulled me out of the story and made me cringe. They also kept stopping in the middle of sentences like there was a period. It just through things off. As I said, though, the story itself was really great. I definitely think I would rather read it than listen to it though. Also, it needed an epilogue or something to tie up a lot of the ends. It just kind of stopped and left you going "but what happened with this?" And "what did so-n-so do?" It needed more closure.